Mumbai based Thakur Vidya Mandir (TVM) High School and Junior College hosted its annual inter-school event Brahmotsav Junior on December 1, 2018 – a cultural, arts and sports extravaganza which saw no barrier of medium and board. 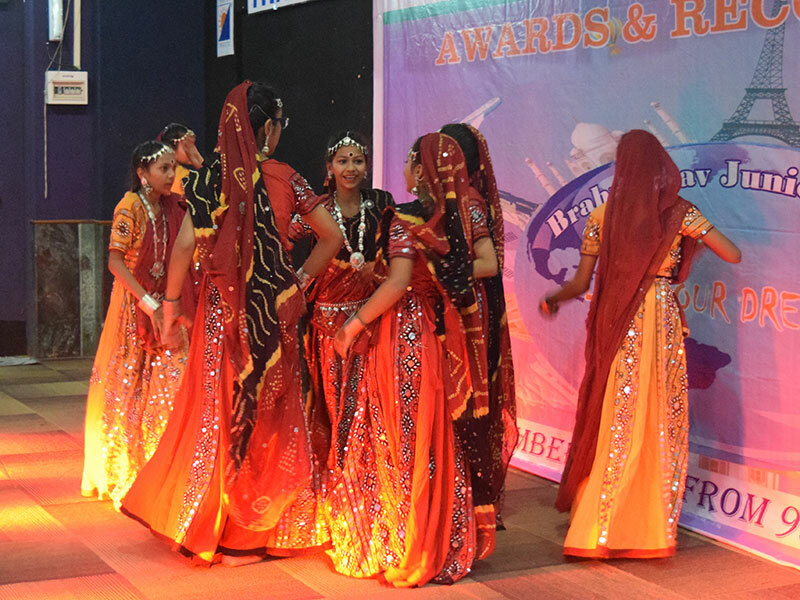 Brahmotsav Junior 2018 garnered a bustling crowd of more than 520 students from 20 different schools of suburban Mumbai ranging from different boards – SSC, CISCE,CBSE and diverse mediums of instruction such as English, Gujarati, Hindi and Marathi. The enthusiastic students took active part in 25 different competitions which were categorised under the theme of Literary Arts, Creative and Fine Arts, Informals and Gaming and Sports. The competitions included debate, quiz, Yes I am Poet, Spin a Story, I too a Scientist, business plan, nail art, pot painting, poster making, graffiti, box cricket, rink football and tug of war, among others. The inauguration programme began with a divine prayer song followed by the prayer dance performed by the Junior College students. Among the dignitaries who graced the occasion were the famous tele serial personalities -Vishwajeet Singh and Jeetu Bhai of the popular serial ‘Bhabhiji ghar par hai’. Both the actors blessed the students and entertained everyone with their signature style. DID winner Paramdeep Singh shook a leg and blessed the students recalling his days when he took part in such competitions. The theme of Brahmotsav Junior was ‘Dreams’ which aimed at inspiring every child to think big and to achieve success in life. The event was a big success with the elated students, their teachers and parents going back home with smiling faces.